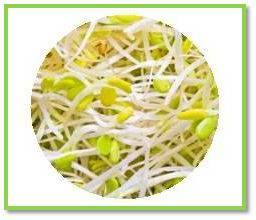 Sprouts, delicious, juicy and useful sprouts! At Agortus you will find both organic, KRAV-labeled and conventional alfalfa seeds. Do you have problems today with many unrooted seeds or want a different taste? Contact us to find quality that meets your wishes.